An extraordinary portrait of three generations of Tibetan women whose lives are forever changed when Chairman Mao's Red Army crushes Tibetan independence. A powerful, emotional memoir and an extraordinary portrait of three generations of Tibetan women whose lives are forever changed when Chairman Mao's Red Army crushes Tibetan independence, sending a young mother and her six-year-old daughter on a treacherous journey across the snowy Himalayas toward freedom. Kunsang thought she would never leave Tibet. One of the country's youngest Buddhist nuns, she grew up in a remote mountain village where, as a teenager, she entered the local nunnery. Though simple, Kunsang's life gave her all she needed: a oneness with nature and a sense of the spiritual in all things. She married a monk, had two children, and lived in peace and prayer. But not for long. There was a saying in Tibet: "When the iron bird flies and horses run on wheels, the Tibetan people will be scattered like ants across the face of the earth." The Chinese invasion of Tibet in 1950 changed everything. When soldiers arrived at her mountain monastery, destroying everything in their path, Kunsang and her family fled across the Himalayas only to spend years in Indian refugee camps. She lost both her husband and her youngest child on that journey, but the future held an extraordinary turn of events that would forever change her life - the arrival in the refugee camps of a cultured young Swiss man long fascinated with Tibet. Martin Brauen will fall instantly in love with Kunsang's young daughter, Sonam, eventually winning her heart and hand, and taking mother and daughter with him to Switzerland, where Yangzom will be born. Many stories lie hidden until the right person arrives to tell them. In rescuing the story of her now 90-year-old inspirational grandmother and her mother, Yangzom Brauen has given us a book full of love, courage, and triumph, as well as allowing us a rare and vivid glimpse of life in rural Tibet before the arrival of the Chinese. Most importantly though, Across Many Mountains is a testament to three strong, determined women who are linked by an unbreakable family bond. It is late autumn and the wind whistles across the dry, rocky fields and meadows. As I step out of the house a fierce gust pushes me aside, so strong that I have to tilt my body into its force. Mola stands with her legs planted wide, buttressing herself against the gale. Mola means grandmother in Tibetan. My grandmother is a ninety-one-year-old Buddhist nun. In the tradition of all Buddhist nuns, her now snow-white hair is cropped close to her scalp, and she wears only red, orange, and yellow. Her floor-length Tibetan chupa billows out like a sail, and it takes all her concentration to keep her balance. My grandmother wants to perform kora. For Tibetans, kora means walking around a sacred place absorbed in prayer, a kind of pilgrimage that can encompass hundreds of miles or only a few yards. Across Many Mountains is exciting, informative, and a very compelling read (Barbara H). Once I opened the book, I couldn't put it down. I compare it to Elie Wiesel's Night; although Ms. Brauen does not present any horrifying details, she illustrates the persecution of a people based on their religion, in this case Buddhism. You learn a lot about this ancient religion and the way people in an isolated country can live on nothing (Donna N). Across Many Mountains is a must-read and relates the history of a people who remain true to their identity even in exile (Cynthia S); it is a worthy addition to the grand and tragic narrative of Tibet (Michael F). (Reviewed by BookBrowse First Impression Reviewers). If this was a movie you might accuse the writers of taking too many liberties with the truth.... If you value exceptional storytelling, I urge you to read this book. If you care about human rights, women's issues, and world peace, you must read this book. Subtle humor lightens Brauen's urgent tone... Brauen's compassion inspires hope that Tibetans might one day achieve the justice they seek. Starred Review. 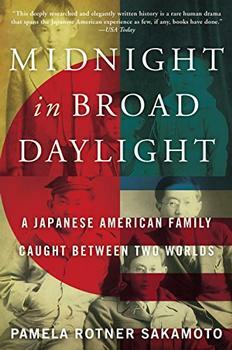 An absorbing, multilayered account of the evolution of an enduring culture. This book paints a vivid picture of Tibetan experience over the last eight decades, one of the most difficult periods in our history. Through the personal stories of three women from one Tibetan family, it recalls the imposition of Chinese rule in Tibet and the subsequent efforts of many Tibetans to preserve their identity and treasured values in exile. The lives of three women embody a tragic Tibetan era - at once grim and uplifting. A necessary book. Born to a Tibetan artist and a Swiss anthropologist, Yangzom Brauen (pronounced YAHNG-zom Bhrown) gained an appreciation for the arts at a young age. She attended school at Europe's prestigious University of Theater and Music in Bern and was soon thereafter cast in a local television program, Manne Zimmer, on the National Swiss Television Network. Her career snowballed from there as she earned more acting jobs around Europe, and her big break finally came in 2005 when she landed the role of Inari in the Hollywood sci-fi adventure Aeon Flux, starring Charlize Theron.